Hi there, Mellionaire House fans! With spring in the air, my wardrobe was in need of a little fine tuning. So I’ve teamed up with Chico’s as a part of their “How Bold Are You?” campaign, to bring you my top picks for must have pieces in my closet this season. 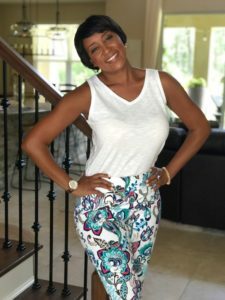 Chico’s inspires women to be bold, no matter what their age, and I’m excited to share these ideas with you…so let’s get started! A versatile tank top like this Cotton Slub V-Neck Tank in Alabaster is a key piece in any spring/summer wardrobe. Not only are you able to dress it down with a cute pair of cropped jeans or shorts, but you can jazz things up with a light utility jacket too! Paired with your favorite pair of earrings and other accessories, a tank top can be your wardrobe’s best friend this time to year. 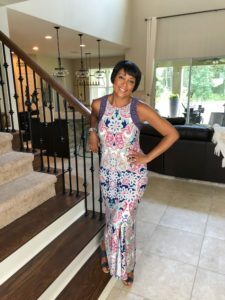 If you’ve been following me on Instagram for a while, then you know that I LOVE a good maxi dress, like this one, in the Crown Paisley print. Whether they are sleeveless, or haltered, printed or solid, long or short, maxi dresses are flattering to most body types and sizes. They are super comfortable and if styled with the right accessories, and be appropriate for almost any occasion! That’s right ladies, PAJAMAS! Don’t you just love a cute pair of pajamas? 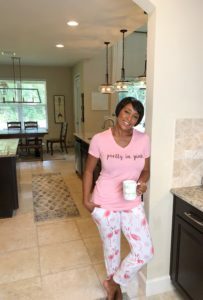 More importantly, don’t you just love a COMFORTABLE pair of pajamas?! I never even realized that Chico’s carried pajamas until they sent me these. And they are hands down, the MOST comfortable pair of pj’s I’ve owned in a very long time! The fabric is SO soft, and breathable…perfect for a cozy Saturday morning in bed. Wishing you love and peace, and thanks for stopping by.